ULTRA-FINE DECORATIVE GLITTER is Loaded with SPARKLE. Tiny Flakes Measure only .008". 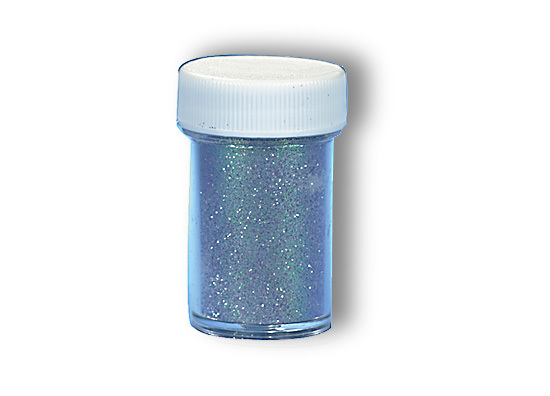 Glitter Adds a Colorful Dimension of Brilliance to Crafts, Ceramics, Greeting Cards, Signs and much more. Decorative Glitter will Enhance Just About ANY Project You can Imagine. 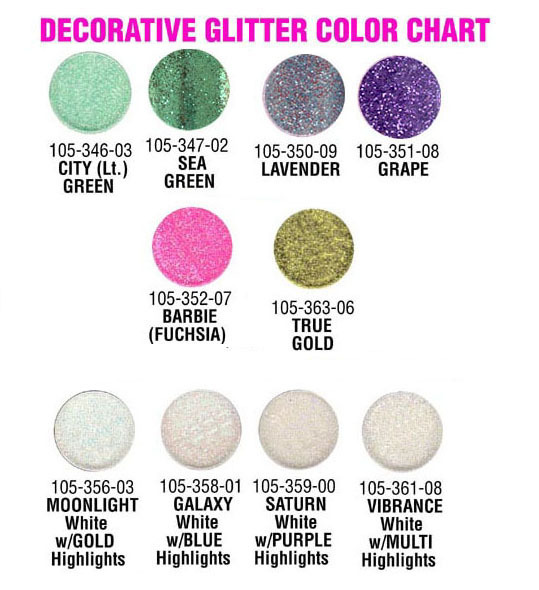 NOTE: WHITE GLITTERS have a Hint of Highlight ColorS Added as Indicated Below.